I'm 50% at this time... :/ may be away with work. Fingers crossed I can sort something out though. No major changes to car planned, maybe some further aero tweaks if parts arrive/time permits. I'm in for the SLS, but may not do the Chase race this time. Although it's good fun I think some thought is needed over the winter as to what the goals of the event are. At the moment it favors the low stressed cars capable of 10 flat-out laps, and something needs to be done to make it more inclusive to the sprint orientated cars. I have a few ideas that I may share later. In terms of my car, I'm going for a big change in suspension strategy - the soft sprung/lots of low speed shock approach worked well without the wings, but I'm going to try a more conventional stiffer set-up for the final one. We've a family wedding so juniors car won't be out. Not been a great season for us so wasn't chasing points or trophies this year as a result. We thought we'd changed and updated most things last winter, but when we had a failures with such things as fuel pumps and alternator which were under a year old, you kinda got tho think that Lady Luck is not on your side. Top that off with punctures on the trailer and writing off the tow car, next season can only get better. Interested to hear your thoughts David. For me (my opinion...) - I think this is intended, and works. The race is a race, not a one lap sprint. Its to reward cars that can keep a quick lap time up over multiple laps (be that pace/consistency/consistency with traffic . I.e a different challenge to a sprint. So maybe a different tyre is needed, a tweak to geometry, tyre pressures etc... its a different challenge. The faster cars CAN win outright. They can also win the handicap part of the race too if they are capable of lapping near their max for 10laps. The slower cars cant really expect to win outright, but they are easier to keep near their max for the full race so may have an advantage. I think this is good, as it tends to be the upper class cars that dominate King Of The Hill. Target Lap Times are set by the SLS class winner and this may be unrealistic for other cars int hat class? Having won every race outright, I understand the appeal of getting your trophy, and don't want to sound as though I am complaining, which I am not - I'm just thinking about the good of the series. But if you've got faster cars that lap the winner (ie who's 60 seconds slower, and who then does one less lap), and fight through the traffic to end up midfield on handicap, I think people will just give up on it. We either accept it's a 'road car race' (for want of a better term) and pitch it at that level by closing it to Pro, A, and maybe B, or do something to compensate the higher performance cars for the traffic and extra race distance. To say nothing of the inherent target time anomaly of high power cars. Of the ideas I have, it would be to use individual PB's as the target time - what better leveler would there be than that? And possibly some mechanism to credit time for lapping traffic. It could also be a great strategy event if target times and entries were available well in advance. Some cars are better suited to sprint, some race. 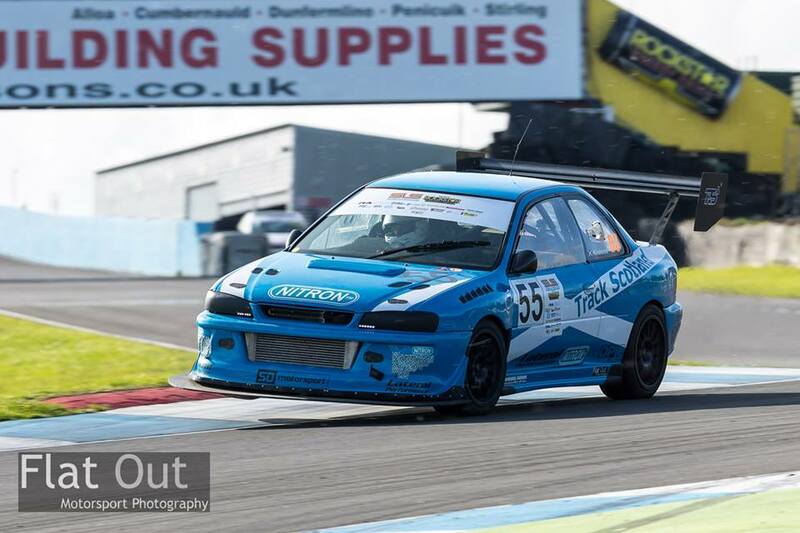 I cant get 10x 54s laps from the Impreza, but Fee prob could. I'm quicker than her over 1 lap though LOL - we cant adjust the race because it doesnt suit me. yeh its racing, and its a good step into it, just the sls is more of a sprint than a race, and there for cars are mainly built with sprinting in mind, and sprint times that comes with it, theirs not alot of sprint cars out there that could do 12 miles at full sprint pace. I could do it but id have to drop the power down to middle map, and prob have to change the pads as well to something a bit more endurance like. 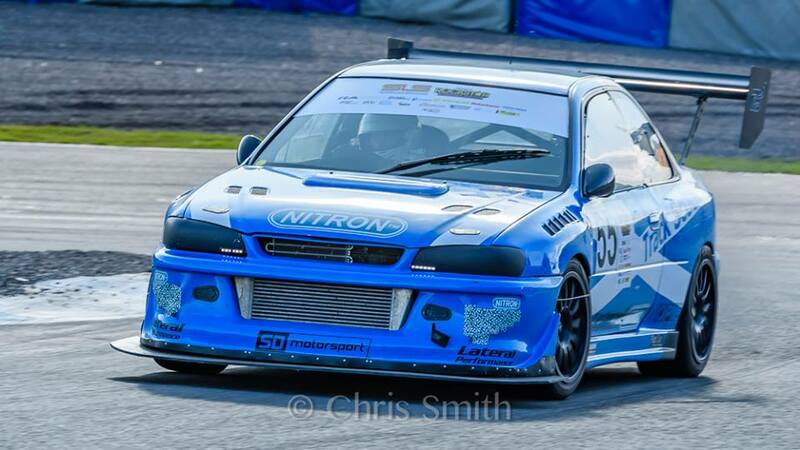 The blue scooby is a very developed machine, as with keiths leon, doing the smrc has allowed you do gather the data for that. maybe its what me and the likes of david lack, Im all about finding the limits of man and machine lol! class B has my car on the ragged edge of that for sure haha! Another weekend where I hardly had time to think! Running a car in every session as well as sharing the car takes its toll and doesn't leave much time to 'think' about how to drive a lap. Doesn't sound much, but mental state is a big part LOL Also having a flight to catch Monday am was playing on my mind. Sat evening - after a lot of geeking from Paul and Steven on ECU logs the EGT sensor was picked out as a probable issue that had been previously causing the car to overfuel (car thinking it had exhaust temps >1200C and adding fuel in to try and protect engine..... reducing the power in the process). Matty has confirmed he altered/removed the correction for EGT during Round 5 after deciding the sensor was just reading garbage. At this point I'm still skeptical on its 'new' power and arrange for another dyno run for verification/comparison as there were a coupe of noticeable differences in the way it was tested for orig cert and re-test. More on this when thats complete. Anyway.... on to the Sunday. Car sharing again and with Karen in the Mini. Fee sat out warm up, and I sat out practice. Soaking wet, but straight away noticed the car was quicker (cal04) than I remembered it feeling. 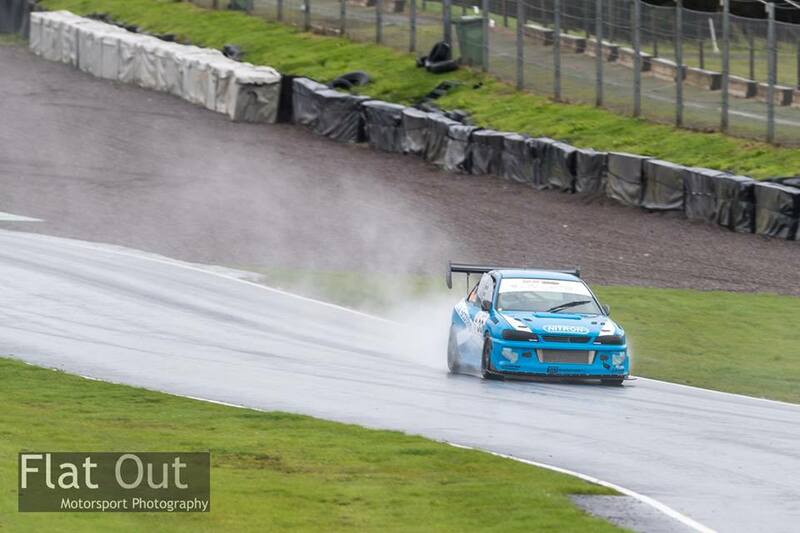 This led to me missing a few braking points in the wet and sailing into a gravel trap or two. Nothing to write home about, but still came P2 overall despite the handling issues (full dry setup!). Low 58s lap in the wet with 2 higher power settings to use if needed. WET again! Went out with group2 due to car sharing (fee runs in Group3 as she shares her race gear with her sis). My general state of mind (not great already) was a bit worse after getting held in the holding area and missing my normal position at the front of the pack. This is a big thing in this group as the speeds are that much greater ... my plan is to do 1 or 2 laps from the front before I catch anyone. I got out mid pack and lost time trying to find space on the first lap, second lap still had traffic but they were moving out of the way more readily so wasn't as compromised. The rain wasn't easing and I needed to get the car to Fee to get her out early in her session. low 60s lap, 2s slower than wet lap earlier in day. As soon as I came off track (2 laps!) the rain starts to ease and times creep down. Still P1 overall in Group2 but doesnt mean anything as the rest of my class are in Group3 that were to run straight after. Group3 got a damp/drying track and make my lap time pretty irrelevant shunting me down to P4 or P5 in Class B. Ah well..... could have gone the other way I suppose. Luck of the draw when car sharing. The lap started well, 90mph at Duffus apex... a little gentle at the base and managed to stop it reasonably well for McIntyres (can hear the car lockingup/trans chattering away on centre diff). Took Butchers what felt like flat but ended up a bit far left with understeer which calmed my normal chicane speed. Up towards Clarks and braked at normal spot, locked one front wheel and lost about 2s scrubbing off speed and nursing the brakes/steering trying to keep it from ploughing straight in to gravel trap. Down into 3rd and just finished the lap in a bit of a strop. 54.8 with that ballsup... OOOFFFF.